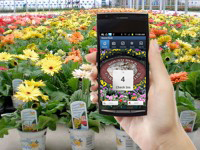 The Round Rock Garden Center App allows you to keep up with the latest deals, news, gardening tips from your friends at Round Rock Garden Center. Got a gardening question? Use our ‘Say Hi’ feature to shoot us a quick e-mail with questions, comments or suggestions. Earn loyalty points to use in our store every time you redeem a deal or answer one of our survey questions. You can share the app on Facebook with your friends and family too. Want to keep connected with all things Round Rock Garden Center? Well, there is an App for that! Also, make sure you search for Round Rock Garden Center on your Apple iPhone, or Android device.